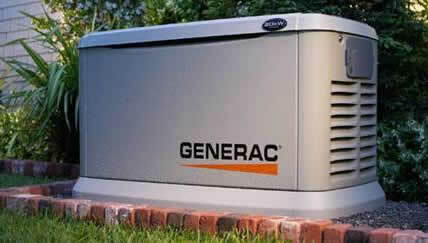 Panel upgrades, Generators, service, repair and installation. Gas Lines, Plumbing Services Commercial and Residential. 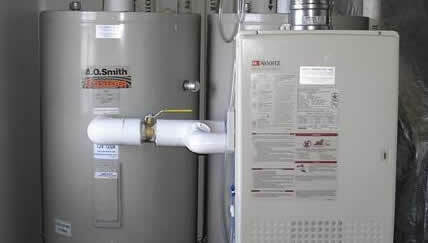 Boilers and Water Heaters An authorized Factory Service Provider for most manufacturers, we provide both warranty and non-warranty start up, service, and repair for most manufacturers of boilers and water heaters. Boiler repair since 1918..
Only the best in heating and air conditioning, let us provide you with a free estimate for a new energy efficient Trane Heating and Cooling system. Just need a clean and service or repair, we service all brands. 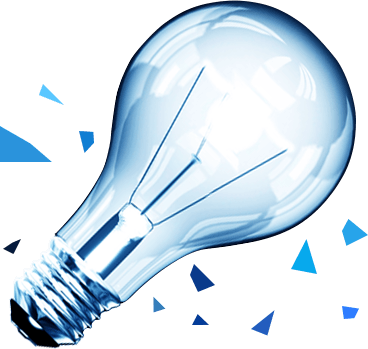 Wiring issues, panel upgrades, generator installations, let us help you with your electrical issues. Sewer line cleaning, leaking faucets, water heater installation and repair. Let us provide you with a free estimate for all your electrical and plumbing needs..
An authorized service agent for Hauck Burner and Krom Schroder Controls, we can provide immediate service or parts necessary to keep your company in production. 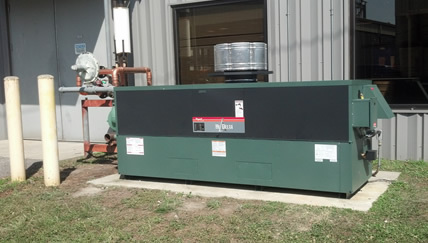 Commercial and Industrial..
We maintain a fleet of trailer mounted Steam and Hot Water Boilers and Water Heaters for Emergency temporary installation to keep you in business while new equipment is on order or repairs are being performed. Call for sizing.